Imagine that you just moved from Sapporo to Tokyo, or from Chicago to New York. When you meet your neighbors, they look at you like you are from another planet and treat you with an attitude bordering on racial discrimination. Would people believe it? Believe it or not, this is what approximately 20,000 North Korean refugees experience in South Korea. Perfectly normal neighbors and coworkers act differently the moment they hear them speak with a North Korean accent. South Korean children, imitating their parents, create similar difficulties for their North Korean classmates in school. South and North Koreans have lived together as brothers for over 1,000 years. The concept of “one people” that has existed for a little over 200 years in Europe has endured a millennium of history in the Korean Peninsula. However, a mere 60 years of division has led to our present disagreement. Under the Apricot Tree was one answer to that question. 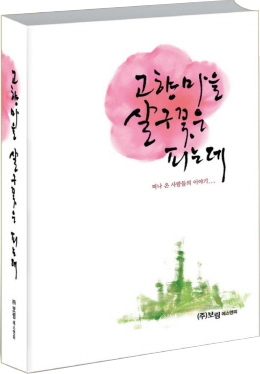 By publicizing the stories embedded in these letters, Saejowi wanted to open the closed hearts of the Korean people. If 50 million South Koreans cannot embrace 20,000 of their North Korean neighbors with warmth and equality, how can they peacefully reunify with 22 million North Koreans? In order to cultivate an environment ready for reunification, Saejowi continues to publicize this letter collection and help North Korean refugees find medical support, employment, build relationships with South Koreans, and understand South Korean society. When we were first asked to publish these letters abroad, we were not without concerns. Our original purpose was to foster understanding in South Koreans. We wondered what kind of reaction we could expect from non-Koreans. However, the peaceful reunification of South and North Korea is impossible without help from neighboring countries. We agreed to the overseas publication because we want the company of well-intentioned neighbors in the journey toward reunification. As you read these letters, we hope that you see not just the thoughts of people in unfortunate circumstances, but also the case for the peaceful reunification of the Korean Peninsula.